This week's Top Ten Tuesday topic from That Artsy Reader Girl is Books That Surprised Me. Now sometimes that surprise is a good one and sometimes not so good. These are either books I expected to not like or be kind of meh about that I couldn't put down or books that I expected to love that just fell flat for me. Luckily there are way more happy surprises than bad. 1. Cinder by Marissa Meyer - This was on my TBR the first time I saw the cover but honestly I didn't expect to like it. I'm not a big fan of YA or dystopian type books and this is a bit of both by I loved how the author built the world and did the fairy tale retelling. I liked Scarlet even more but it wasn't a surprise! 2. A Christmas Carol by Charles Dickens - Dickens and I have a very complicated history thanks to some required reading in high school so while I loved the story in play form I didn't really expect to love it in printed form. But I really did! 3. Casino Royale by Ian Fleming - I had read Chitty Chitty Bang Bang before I decided to go on an Ian Fleming project. I love his straight to the point writing style but was a little nervous about how it would work in a grown up spy novel especially given what I know about the movies. I was pleased to discover how much I enjoyed the novels and how different they are from the movies (especially the Roger Moore ones). As well I was very pleased to discover that why Fleming and Bond aren't winning any feminism awards the women that people the books are strong, self possessed, intelligent and frequently are the ones getting Bond out of a crisis instead of the other way around. 4. Scrappy Little Nobody by Anna Kendrick - My only real knowledge of Anna Kendrick comes from the movie Pitch Perfect which was fine but didn't make me want to go read/watch everything connected to her. I got the audio from the library for the book strictly on a whim and absolutely fell in love with the book and her personality and ended up laughing until I cried. 5. The Guernsey Literary and Potato Peel Society by Mary Ann Shaffer and Annie Barrows - I'd been seeing raves about this book for awhile but I wasn't so sure if I could really follow a story that was told almost exclusively in a letter format. I didn't see how I'd get invested in the character but I was so wrong! 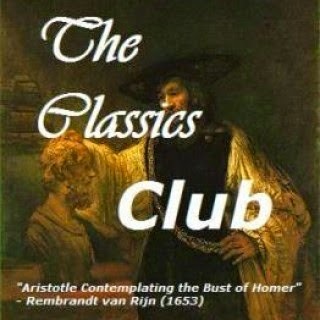 This is one of my Top 5 Favorite All Time Audio books. 6. The Last Chance Matinee by Mariah Stewart - I've been reading Mariah Stewart for years and her Chesapeake Bay series is one I always read but am not really sure why I do. It's been hit or miss and even when it's a hit it's always more like than love. My expectations weren't super high when I started this book but I loved it and it reminded me why I still read Stewart's book. 7. Before the Fall by Noah Hawley - I had no interest in reading this one. I don't like crisis stories and I'm not a big fan of anything where children are involved. There were even times when I was reading it that I just wasn't sure how I felt about it but as the story went on the more pulled in I was. It ended up being a book I really enjoyed! 1. 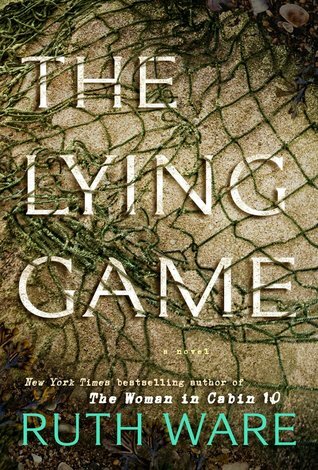 The Lying Game by Ruth Ware - I love Ruth Ware. Her two previous books were two of my favorite audio books ever so I was super excited about this one. And then I wasn't. There was just so much secret keeping and it felt like the narrator was keeping secrets from the reader for far too long. I kind of felt like she had an excellent novella but had to turn it into a full length novel on a very tight deadline. 2. Ghostland by Colin Dickey - I just knew I would love this book. It's all about ghosts and the actual history surrounding the story. I love ghosts and I love history so I thought this was a no fail purchase. In fact I was so confident that I preordered it new - in hardcover. I made it a 100 pages before I had to put it down. I found the style rambling to the point of incoherent and was bored to the point of reading slump. 3. Everything, Everything by Nicole Yoon - This is strictly a - it's not you, it's me - reading experience. I recognize that there was a lot that was really good with this book and while I could appreciate that I really didn't enjoy it. I think this was the book that made me realize that the genre itself just isn't for me. I still think I should read some Ian Fleming at some point. Especially since I loved the Bond movies so much as a kid. Would be nice to go to the source! And The Lying game was a little problematic for me, I mostly liked it, but yeah there were some issuess. Scrappy Little Nobody by Anna Kendrick - my blog is known for mostly thriller/sci-fi and post-apocalyptic books. But I love a good memoir (especially of someone funny). This book in particular - I think people thought I was crazy driving into work. I would be laughing with tears coming down my face on my drive in. Other drivers would look over and be very confused. I also loved the Guernsey book, though I have a definite fondness for epistolary books. Or really books told in any 'unusual' way. Did you know that there is a movie soon? I saw the trailer and it looks great. I also liked Before the Fall and have decided to schedule it as our mystery group's July selection. Hope the others like it too. The Lying Game was a not my favorite either, though I did love her previous two books. And will also try the new one she has coming out this year. I loved The Guernsey Literary and Potato Peel Society too. Looking forward to the movie. 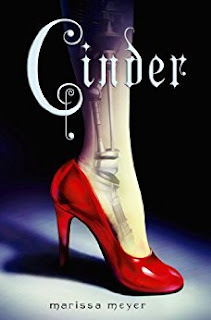 I loved Cinder—more than I expected to, so I suppose that was a surprise, in a way. Chitty Chitty Bang Bang is charming; I loved it when I read it in middle school or thereabouts. I got the audiobook for Christmas (based on your recommendation, as I recall! ), and I'm looking forward to listening to it when I finish my Harry Potter re-listen. And The Guernsey Literary and Potato Peel Society is on my list of books to read someday. It's always great to be happily surprised by a book than badly surprised. I was surprised too I guess at how much I loved Cinder and then of course Scarlett. I liked the Mariah Stewart book too that you mention although I was meh about a few of her other books. I guess I'm in the group that like cinder more than scarlet. I guess I've never like little red riding hood so it's no surprise I didn't like scarlet much. I like that you pick up a book on a whim because most of the time, that's how I pick books to read. sometimes you end up with a good book and sometimes it really isn't for you. I loved A Christmas Carol, a book that surprised me was The Comte of Monte Cristo-I actually liked it!! Scrappy Little Nobody is on my TBR, glad to see you enjoyed it! I just felt way too old with Everything, Everything. I like how you included books that surprised you in both positive & negative ways. Great list. I'm really glad you enjoyed The Guernsey... book, I loved that too. I think I'll go see the film version coming out later this year, I hope they've done a good job with it. I really enjoyed Before the Fall, and I love A Christmas Carol. I agree on all of these that I have read. Especially Ghostland by Colin Dickey.... I was SO excited about that one... but man, it was tough to get through.